Sync Select. 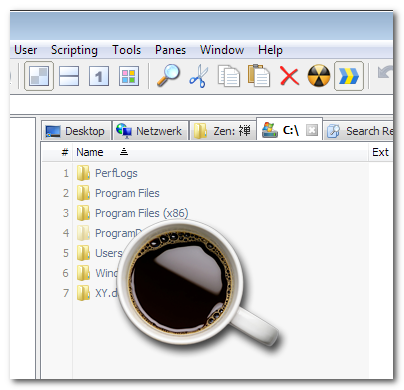 Here (menu Panes | Sync Select...) you find various useful commands to modify the selection in one pane based on items in the other pane. They are best used for comparing two locations which have similar content. 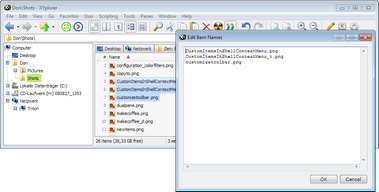 Use case: You manually sort out photos visually scanning through the JPGs in your JPG folder. When done you want to remove the corresponding RAW images in your RAW folder. Extremely tedious task. Easy Solution: Point the active pane to the RAW folder, and point the inactive pane to the JPG folder (Tip: hold ALT when you click the tree folder to load it in the inactive pane!). 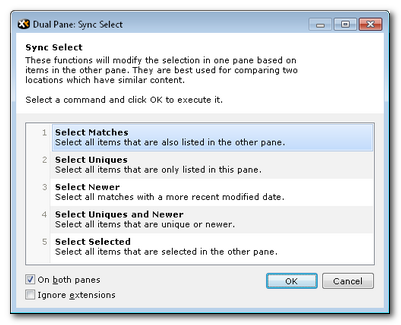 Then open Sync Select, enable Ignore extensions, and choose the Select Uniques command (Tip: dbl-click the command to trigger it). Voilà! 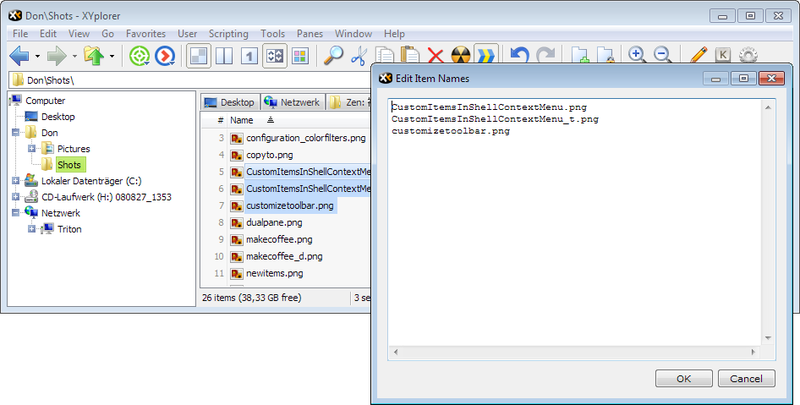 All RAW files with no corresponding JPG file are selected. Now you can simply delete the selected files. Sync Scroll. Now synchronous scrolling of both panes is supported. In the following shot you see how the same folder is sync-scrolled in different views (left pane Details, right pane Thumbnails). Sync Sort. 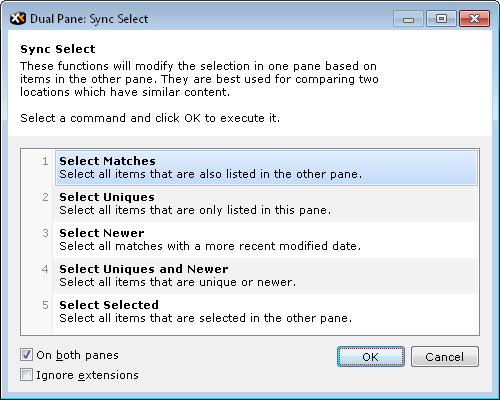 If Sync Scroll (see above) is enabled then both panes are also synchronously sorted. Restore Selection. Ever inadvertently erased a selection? The new "Restore Selection" command will bring it back within a click. Stage 1: You have manually worked out some complex multi-selection. Stage 2: Whoops, you clicked in the white space: all selections are gone! 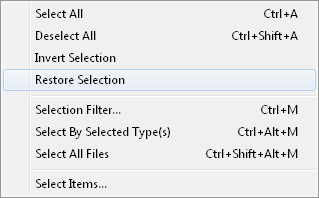 Stage 3: Select Restore Selection from the white space context menu, submenu Select. Stage 4: All is back as it was. Move Up. 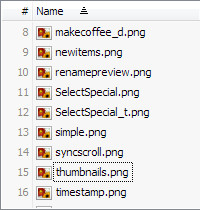 A quick way to move the selected items to the folder above the current folder. 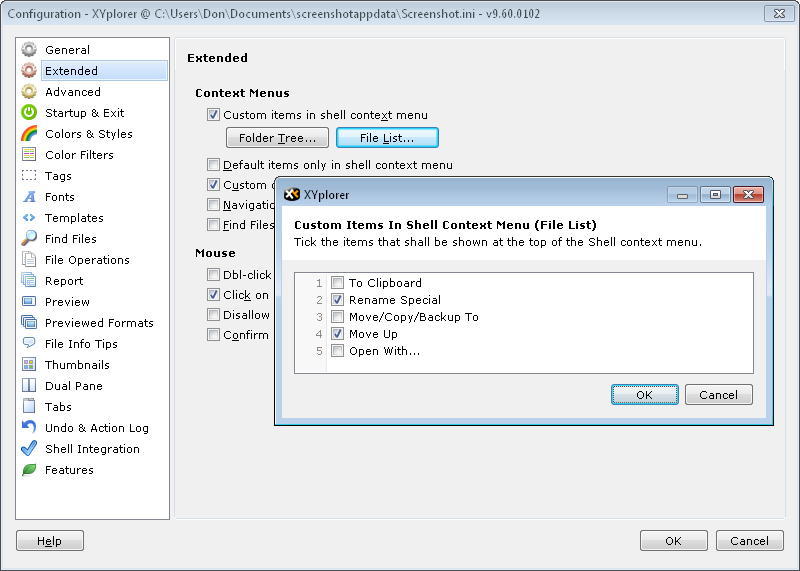 The command is optionally added to each item's context menu. 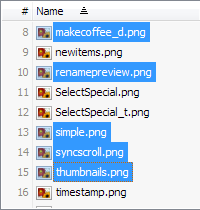 Edit Item Names. 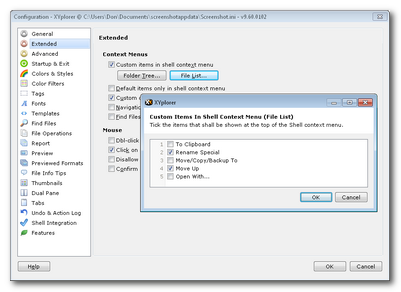 Edit the names of the selected List items in a multiline text box. Depending on your rename tasks this offers an elegant way to handle them. You might even copy the names to a full blown editor, do some fancy things with them, and then paste them back to the dialog and perform the rename. Make Coffee. 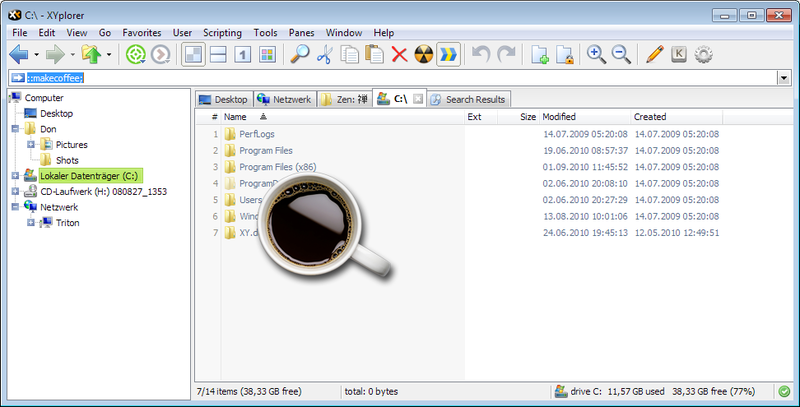 How many file managers do you know that can make you a cup of coffee?